The faculty of physical culture was founded in 1992. At sources of creation of the faculty stood the rector of Moscow State Pedagogical University, V.L. Matrosov, the head of the department of physical training and sports, professor L.B.Kofman, professor L.Z.Gorokhovsky, the professor M. M. Bogen, the assistant professor V.A.Kaverin. The faculty is laboratory on successful creation of modern approaches of the organization of physical culture and mass sports work, the latest teaching methods and training of highly qualified specialists in physical education and sport. 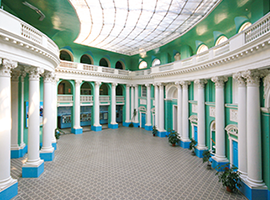 The development programme of faculty of physical culture is built on a basis «The national doctrine of education in the Russian Federation», «Concepts of modernization of Russian education», «The priority directions of development of educational system of the Russian Federation», «The federal target program of a development of education for 2006-2010», «Concepts of development of physical culture and sport in the Russian Federation for 2006-2015». The acting dean – the candidate of pedagogical sciences, associate professor Galina Kuzmenko. The deputy dean on scientific work – the candidate of pedagogical sciences, associate professor Tatyana Kim. The deputy dean on study – the graduate student of department of sports disciplines and a methodology of their teaching Irina Ishbuldina. The deputy dean on educational work the-senior teacher, the master of sports on track and field athletics Kays Essebbar. Responsible for work with correspondence course the-senior teacher of department of sports disciplines and a methodology of their teaching Gemma Podrezova. Responsible for work of externship — the candidate of pedagogical sciences, associate professor of physical training and sports Lilia Morozova. 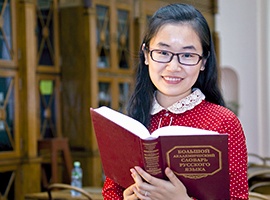 Head: candidate of pedagogical sciences, assistant professor Tatyana Kim. The Research Head of laboratory of medico-biological problems of physical culture – the doctor of medical sciences, the professor Boris Yudin. On department the postgraduate preparation of scientific and pedagogical shots in internal, correspondence postgraduate study and in the form of competition of a scientific degree of the candidate of pedagogical sciences on scientific specialty 13.00.04 – theory and methodology of physical training, sports training, improving and adaptive physical culture is conducted. Thanks to staff efforts the department the medico-biological laboratory is functioned on introduction and application of medical innovative technologies for an assessment of health of students of MSPU and studying of adaptable and compensatory reactions of an organism for physical activities works. The research head of the laboratory – the doctor of medical sciences, professor B.Yudin. Head: doctor of pedagogical sciences, professor Olga Stepanova. Deputy heads: associate professor of sports, candidate of pedagogical sciences Lyubov Stoliar; associate professor Antonina Hramtsova. 033100 (050720) – Physical culture with qualification assignment «The teacher on physical culture». On the department the postgraduate study is open and preparation of graduate students and competitors in the specialty 13.00.04 – theory and technique of physical training, sports training, improving and adaptive physical culture is conducted. The staff of the department conducts active scientific work on a subject «Management efficiency increase: the content of education in the field of physical culture and sport; activity of the sports and sports organizations; process of improving and sports training». professor, the doctor of historical sciences Tatyana Antonova. The department of a physical education and sports revised working programs on physical culture on sports, updated and approved an educational and methodical complex of physical culture (the authors of the program of Antonov T.M., Kaverin V.A.). 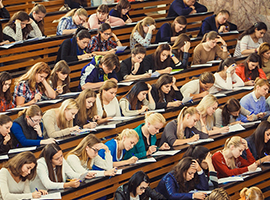 The educational and methodical complex is developed according to the state educational standard of higher education and includes the purposes and problems of discipline, volume of discipline and types of an academic load, contents of sections of the discipline, recommended literature and methodical instructions for students and teachers. In educational process of department of a physical education and sports modern improving technologies, such as pilates, callanetics , isotone, a step aerobics were widely used, and also there were given classes with the use of new training technologies and author’s techniques in weight correction, scoliosis correction, complexes at osteochondrosis of a backbone, and other diseases. At the department there is a complex of the educational and methodical documentation reflecting the organization, the contents and a technique of carrying out teaching and educational process. Educational process on disciplines of department is provided with the educational and methodical complex, a necessary minimum of manuals, educational and methodical materials and a necessary minimum of the textbooks published by PPS of department. Annually students of faculty of physical culture take part in competition for the best research work of students, speak at conferences of young scientists. At all departments of faculty scientific sessions, conferences of the faculty of departments, competitions for the best educational and scientific work are carried out; the annual collection of scientific works is published. Scientific work is an integral part of educational process of students of faculty. Students master skills of creative, search work, learn to put and solve actual problems of physical training of children, the teenagers, studying youth and other contingents of the population, master in practice receptions experimentally — research work. The results of scientific researches allow to reveal the most perspective young scientists for their further training in postgraduate study. Research works of students of faculty successfully participate in open competition for the best scientific work: students win medals and diplomas of the Ministry of Education and Science of the Russian Federation, become winners of competition. Annually students of faculty participate in city competition «Pedagogical debut». For students faculty review competition of professional skills became traditional. Students of faculty take active part in various university competitions, concerts, humour clubs, sports competitions of a various rank (the European championships, the World Cups, University games, Olympic Games) where become winners and prize-winners. Also the faculty of physical culture holds interfaculty competitions on different types of sports, with participation of all faculties of MPSU declared on competition. As a result of this competition the table on which the most sports faculty of the university is revealed is made. Annually during winter and summer holidays students of faculty of physical culture together with students of other faculties leave on sports meetings where the outdoor activities with various cultural and educational and sports programs are offered to them. Hasikov Batu Khan (kickboxing), the absolute world champion among professionals on a kickboxing of ISKA, WAKO-PRO, WKA, the world champion among clubs on a kickboxing 2005, the champion of Europe on a kickboxing 2010, the triple champion of Russia on a kickboxing 2006, 2007, 2010, the champion of Russia on Seyvakay karate of 2000. Sidorov Alexander (sambo) world champion of 1990.
combined team of MPSU on rhythmic and esthetic gymnastics: Ereshchenko Darya, Strizhneva Sofia, Vanyukova Olesya, Kutsenko Julia, Sidirova Julia, Nesenov Yaroslav, silver prize-winners of the World Cup and World Cup 2010, winners of the Cup of Europe among higher education institutions 2010.